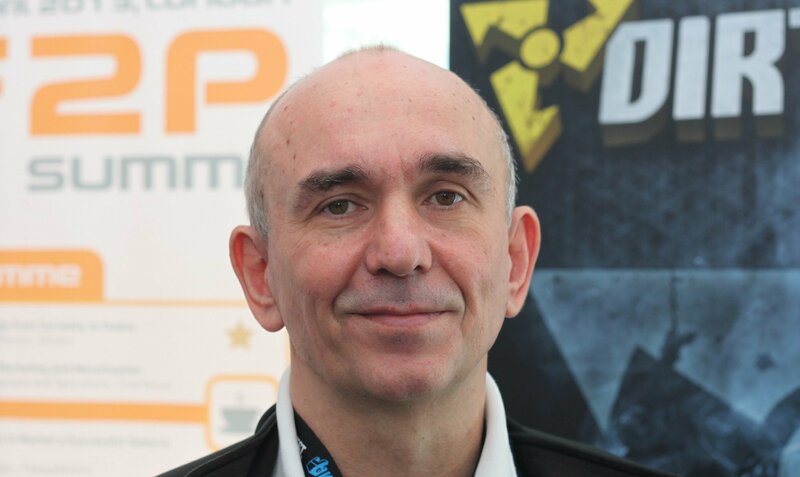 Peter Molyneux's name may stir conflicting emotions for some players, but you can't deny the fact that he's been involved with some groundbreaking video games, including Populous, Black & White and Fable. He's currently plying his trade at 22cans, the studio he formed after leaving Microsoft, and has already released Godus and The Trail, the latter of which made it to Switch last year. Molyneux is currently working on a game known only as Legacy, and has remained tight-lipped about it over the past few years. We were lucky enough to sit down with him recently to discuss his career and his future projects; the former feature was published at the weekend and we'll be running the second piece later this week. Legacy is certainly a big departure from what I’ve done before. And more so than ever before, you need to think a little bit more agnostically about platforms. I would absolutely say that there is a really strong chance of it going onto Switch, but there are two gates that can stop that happening. The first is you have to get permission from Nintendo, that’s one gate. And the other gate is, are we, as a company, passionate about putting it on Switch? I would absolutely say yes to that, because Nintendo – of all three consoles – it appeals to the audience that I find most fascinating. Those are the people that perhaps haven’t been gaming for decades – although I love those people as well – they’re people who would love to play computer games but find them inaccessible, and I find that absolutely fascinating. So yes, absolutely. It's hard to get too excited about a project which, so far, hasn't been properly revealed, but Molyneux's assurance that this is going to be a 'big departure' is interesting, as is the fact that he really seems to be a fan of Switch. A big departure in that he won't be hyping it beyond his abilities to deliver this time? that you often have to get your head around does put up a barrier to re-entry. This and the unpleasantness that can come from online play now. When it was just the computer or your pal sitting right next to you, such things couldn't happen. Is good that Peter is thinking of these people. Just keep your expectations low. Lower....even lower......keep on going..........rock bottom are we? Okay. Now disappointment is unlikely to effect you now if it all ends in nothing. "Nintendo... appeals to the audience that I find most fascinating" Is he saying Nintendo fans are gullible and easy to lie to? Nah mate, it's gonna be mental, gonna have 4K Rumble, procedurally generated 4K Rumble mate! I don't think he has much to worry about with Nintendo, some of the rubbish that has been allowed to launch on the Switch lately there should be no 'gates' to get in the way. @Gs69 Perhaps poor wording on his part but I believe he means that Nintendo appeals to that audience as well as the core gaming audience. Which I think is true. The WiiU was a slight misstep sadly (though one I loved), but the Wii, DS, 3DS/2DS and Switch have all had a much broader appeal than the Playstations and Xboxes. Those tend to appeal to just core gamers, whilst Nintendo appeals to them and those that he describes in his quote. If he brings me something along the lines of the fable series I will be all over it like a rash! I played those games to death when my kids were wee and I hold Fable 2 responsible for my eldest sons deep love of computer games. For me they were the perfect balance of plot, humour, action and fighting. @Ogbert I get what you mean, but the last Nintendo system to sell over a million units was the DS from 2004. Whereas the PS4 is already over 90 after less than 6 years. There isn't really as big a divide between "core gamers" and "casual gamers" as people think there is. I've never been so pulled in two different directions since joining this site! On one side, I would love for a Fable-like game to come to the Switch. I think it would do great. On the other side, I'm scratching my head saying "what is he talking about?" I've been gaming since the early 80's. I've owned every Nintendo system except for the SNES (I went with the Genesis and I was too poor to buy both) and the Virtual Boy. I believe he thinks that fans of Nintendo are new to gaming or are casual gamers???? I'm done giving this dude verbal pats on the head for the hype and effort of his mediocre games. I remember buying an Xbox OG for Fable 1, thinking it was going to be THE game that we had spent the previous thirty years building up to, annnnd.....it left me wanting to play Galaga instead. The guy has had ideas that were eventually co-opted and done justice by more competent game developers. Given the guy's history, this is most likely going to be a hilariously hard pass from me. I loved Fable! If there was a release of something along those lines you could count me in. I know this guy is polarizing and has over hyped stuff in the past but I’m glad he’s in the industry. It needs dreamers and eccentric thinkers. Molyneux's days as a top game designer ended decades ago. He's nothing but a failed hype machine now. People with disposable income are the audience Peter finds most fascinating. @Borngis The switch has sold over 30 million, two years in. The DS sold over 150 million and the Wii over 100 million. If Nintendo hadn't made a console that sold over a million since the DS, they'd be in serious trouble. PS4 may be over 90 million, but as you said that is after 6 years, and multiple SKUs. It's had quite a head start. I agree overall the gap is not what it used to be, but there is a gap and there always will be. It's not a bad thing either. Different people want different things, some want core, some casual, some both. What is he even talking about? It sounds like he has no clue about Nintendo and the Switch's fans. But does it have acorns? Please don't... Honestly, please don't. Hes the prince of lies. Like i enjoyed the fable series but it never lived up to his mad claims. Hes like homer simpson when he was in charge of the garbage collection. I see a bald white man now and all I see is Jeff Bezos. I instantly don’t trust this guy. As long as what he offer isn't a scam then I welcome it. The guy had some great creative ideas just that those ideas either can't become reality or is too good to be part of reality. Hopefully it could become reality soon. I would love to see a new Fable game but unfortunately Microsoft owns the rights and has no intention of continuing the franchise in any meaningful way. Would be nice if Peter created an action RPG similar to Fable and Kingdoms of Amalur. Take my money! He finds toilet paper fascinating, but it still can’t clean up his messes. @Borngis Do you mean 100 million? @Ogbert The only misstep with the Wii U was Nintendo's SILLY branding, marketing and lack of support on their end. Every Nintendo Direct would include 10 times more game announcements for the 3DS than the Wii U. They knew they MESSED up with the name Wii U and how they marketed the system (people thought it was an upgrade for the Wii) and that their was no going back. So they gave up on it and focused on the 3DS instead. And then third parties dropped support, most didn't even bother and the system died. The end. System was fantastic though and had potential but unfortunately Nintendo failed to realize that potential. @KIRO Same here. If you haven't played Kingdoms of Amalur I highly recommend you do. It's as close to Fable 4 as we're ever going to get and it was in my opinion a much better game than the Fable games. @CairiB think that’s pretty unlikely. His company is pretty small and puts out small mobile games. I’d expect whatever he’s making to be for the mobile market and then potentially ported over to the switch. I hope his new game brings some of the magic. 22Cans have been gradually ramping up the scope of their titles, while finding their foothold as a team. I'm rooting for them to make it a good one with Legacy! @Dringo First I'm hearing of it. Source? Why not ask Nintendo to make StarTropics 3? Working WITH Nintendo. @Mr_Pepperami it’s a real pity. @Painkiller_Mike I am not debating any of this. I merely pointed out it didn't sell like the others did because it was the blip in the stats. The reasons for that are many and not really what the discussion was about. I think there are a lot of Nintendo gamers that buy Nintendo consoles to play Nintendo games and not much else. They either have other consoles for other titles or they don't care about them. That's why historically it's been so hard to get third party support. Now with the Switch you have all of a sudden a successful market for small indie PC games along side that Nintendo market and that's what he's talking about, people that want to play $10 steam games but not $60 mainstream AAA titles. That might sound ridiculous but I think it's actually pretty common, or at least common enough, for people to be bored to death of big open world sandboxy action games and searching for smaller and more focused, crafted linear experiences instead to support its own market. None of my friends with Switches care about SSB or Yoshis Crafted World and I think that's a new thing for Nintendo consoles. @super-nintendo If I could, I would give you a million thumbs up for your comment. @Ogbert I wasn't trying to pick a fight. Just pointing out facts (whether their are facts or opinions is debatable). I absolutely love the Wii U. True story. One of the main reasons why I bought a Wii U was because of an article that Game Informer ran about the Wii U version of Aliens Colonial Marines (that we now know NEVER even existed) and how it was the definitive version because of the Gamepad being used to track xenomorphs in real time. I canceled my subscription shortly after the truth came out and I do my very best NOT to give Gamestop any of my money since they own Gameinformer. But it's well known that Playground's new second team is making a Fable game. @Painkiller_Mike Use of profanity on this site unacceptable. @Borngis Where are you getting your information from? My advice is to get away from there quickly! Life is hard enough without verifiably false information sprinkled all over it. @Dringo Cool. Thanks. I would love to see another REAL Fable game get released. Lol, is he still a force in the game-development scene? @LaytonPuzzle27 Sorry PC police. I'll try harder next time not to use profanity. @Painkiller_Mike Or the product itself didn't fulfill a need outside it played Nintendo games for those who wanted to play Nintendo games. Not interested. I've been burned too many times by being excited for his games only to be crushed with disappointment. I would like to see a next gen black and white. Never had a strong enough pc for it back in the days. Remember when the 3D Map in the citadel of black and white showed the graphics engine of the second game? Uhhh... what? That’s the absolute opposite of the average Nintendo fan that I’ve encountered, both in real life and online. Many of us are older than the average gamer and we stand by Nintendo because we’ve been playing their systems since before Xbox and PlayStation even existed. If anything, the newcomers this dude’s referring to are on those two competitor systems. That seems to be the turf of teenagers who never owned a gaming system before and the “mature” perception of the games on those platforms draws them in, and then they basically only play Fortnite, and before that it was CoD. Molyneux’s concept of Nintendo gamers seems mostly based on the Wii era; the audience buying Switch is not the same audience the Wii had. Watch out, newcomers. Molyneux is coming to save Switch owners from realistic expectations and clearly developed products! You'll only think you were interested in the game he originally pitches. Once he's done, you'll be happy with the weird thing he leaves in the corner instead. Hey, it's that man from Larry Bundy Jr's videos! @MysticGengar He's a legend of game design. Populous, Fable, Black & White, Magic Carpet, Dungeon Keeper. The problem is he at some point shifted from "legend" to "infamous" for his ability to spend obscene development time on one game, hype it like crazy, and deliver a broken game that doesn't actually live up to the hype at all. Even if it's an overall good game, like fable, it's nothing like what he hyped it to be. Why would Nintendo be a gate? I know you have to be accepted as a developer before you can put a game on the system — but how many applications has Nintendo denied? I am in favor of as many things coming to the Switch (or any platform) as can — and then let the market take it from there. I feel like I recognize this guy's name. PROJECT MILO. That's where I know him from. Ew. Has he actually done anything since then? ...Didn't this guy hate Nintendo or something? Sweet..... i wonder what Guru Larry have to say about this. Wasn't his last game on Switch and it was hot garbage? Gameplay is Peter's forte not writing. Let's be kind to him. I think he meant that Nintendo players more often than not have a certain innocence, a certain freshness, even if they've been gaming for decades. And that innocence and freshness you tend not to find on the other platforms so much, that tend to be more dystopian. And that innocence, that freshness, is a hope and bodes well for a kinder future. Having said that. I do hope Peter M quits drinking. It doesn't sound good for him. And drinking lots and great game creation do not mix. @Borngis Did you mean 100 million? "And this works today, Now!" Just do an HD remake of Populous, Mr. Molyneux. I'd give all ze monies for that. I've got no idea who this guy is and have never played his games. I'm also very confused about his statements of Nintendo gamers. What exactly does he mean by any of that? I expect him to promise smell-o-vision and deliver a scratch and sniff sticker. Molyneaux still talking himself into a hole, I see. I absolutely love Fable and Black & White though so I've usually got time to listen to what he's up to. Ah. I see now. Nothing to get excited about then.